Due to a special request, I've made my Green Turtle fabric available for a limited time only. To order this design on any number of fabric options (ie. silk crepe de Chine, organic cotton sateen, upholstery-weight linen-cotton canvas, and more! 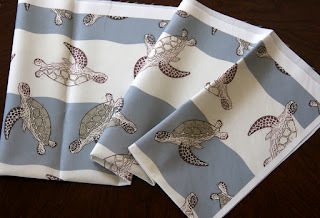 ), visit my store at Spoonflower. Thank you.